Chill out at the Acoustic Stage in the afternoon in the Club garden, before the Gavin Clark Stage kicks off later in the evening. p.s times may vary a tiddly little bit and if the weather is not kind to us, the Stage will be inside the Club. Dovefest regulars Moore & Moore Beer bring a unique blend of Guitar vocals, sax and harmonica to some of your favourite songs from across the decades. Having evolved from the local open-mic scene and fronted by guitarist and vocalist David Moore, the popular trio have developed a following in pubs across Staffordshire and Derbyshire with their interactive, sing-along approach. Moore & Moore Beer are on a mission to enjoy themselves by entertaining others and their performances have often been augmented by the inclusion of other local musicians so if you’re not shy about singing along or shaking maracas there’s a good time to be had for all! 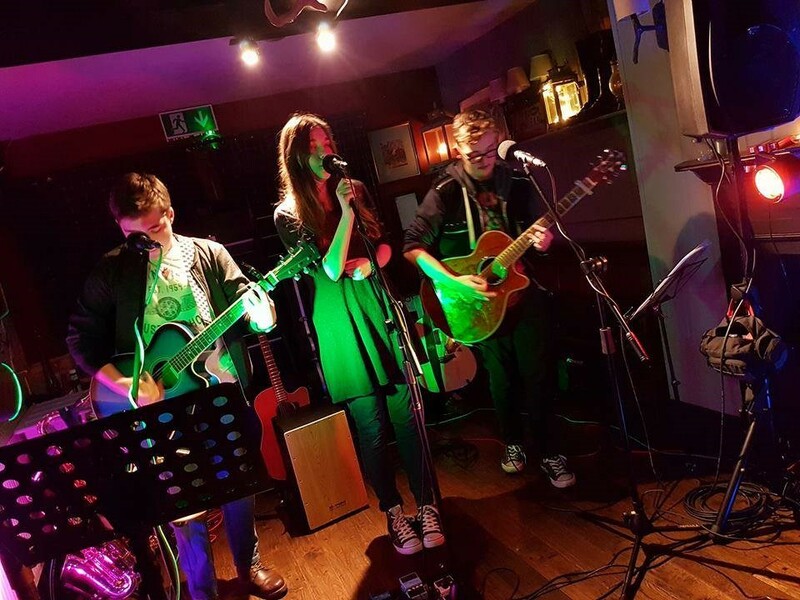 Unbound are a young, three-piece acoustic band based in Derbyshire and East Staffordshire, performing a range of interesting covers and original songs. 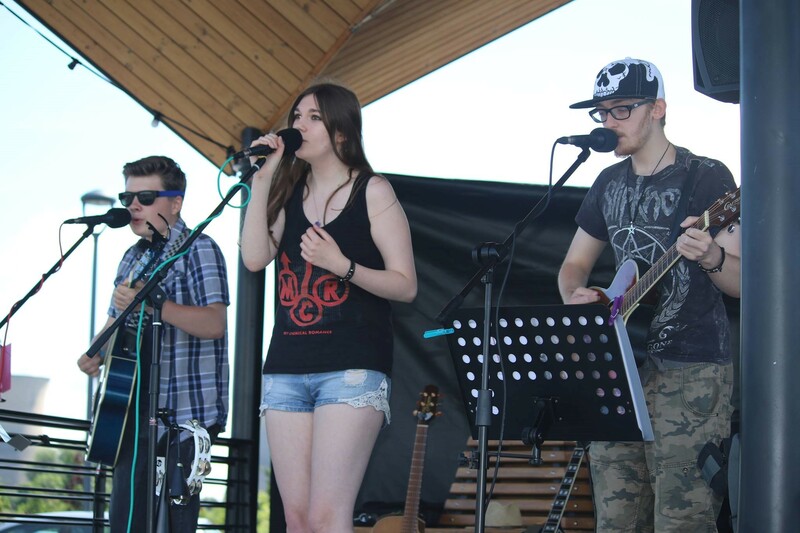 Their imaginative arrangements consist of covers from bands like Fleetwood Mac, Bon Jovi and even Iron Maiden! Their dedication and passion towards their performance is something that shouldn’t be missed! 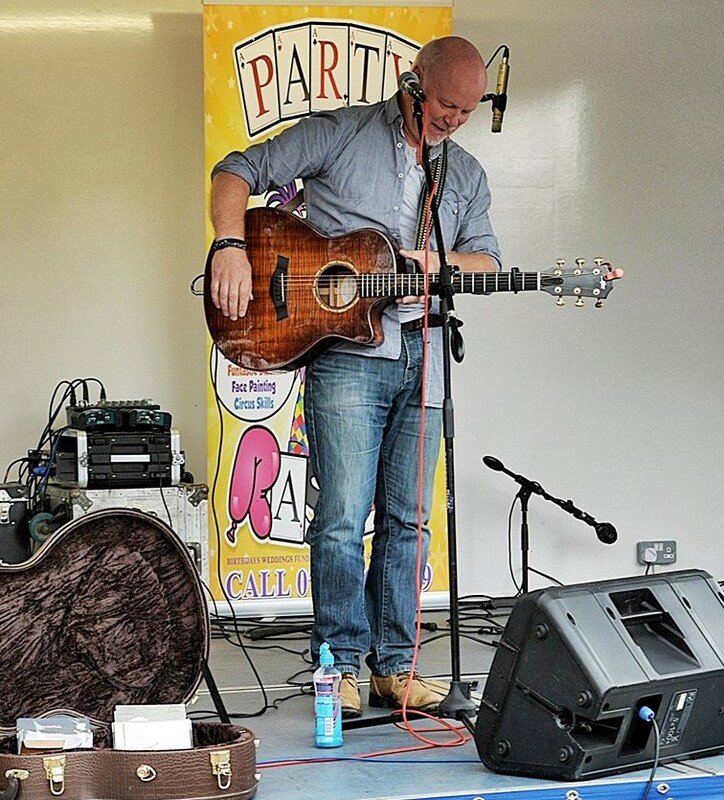 Joe is a singer songwriter from Staffordshire. Influenced by the likes of Nick Drake, John Martyn and Damien Rice. 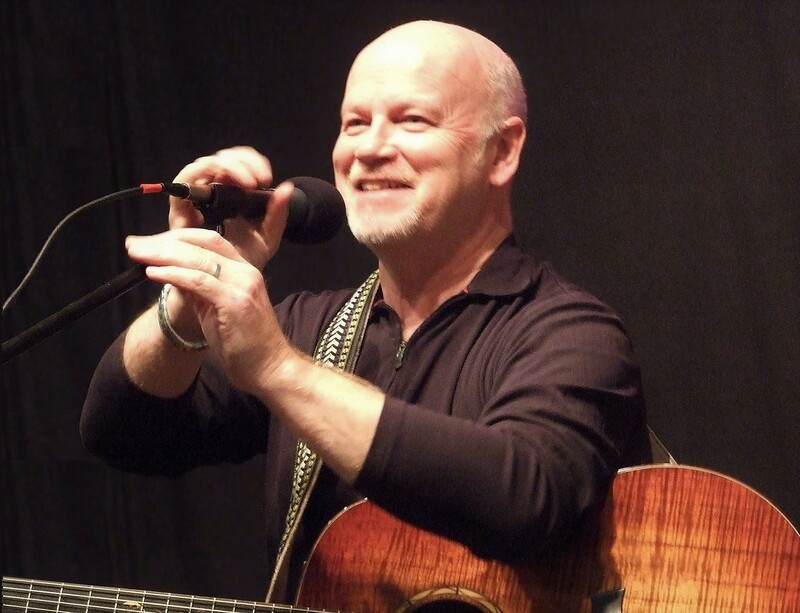 He sings from the heart with soft tone and subtlety about life’s wonders and troubles! Songs, sometimes edgy, are contemporary in lyrical content, yet often scattered with older values and meanings that draw you in and make you think. Toftie & Bennett are a talented acoustic duo from Congleton combining the vocal and rhythm guitar of Joe Bennett with the lead guitar work of Dan Toft. 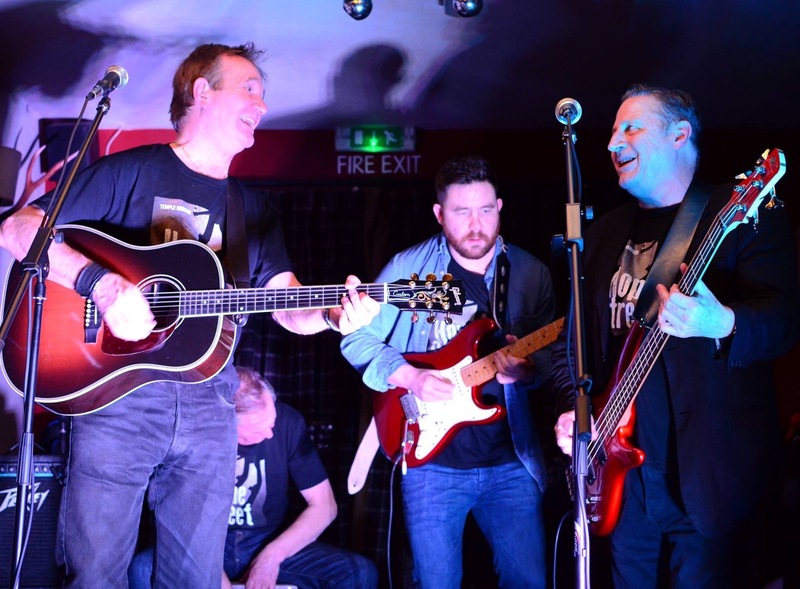 They perform a range of covers and the odd original including music from Glenn Campbell, Dire Straits, Eric Clapton and many more. Another ‘Must see’ act at Dovefest this year! As with most super bands and higher forms of life, ‘The Dapper Dogs’ have evolved over many years. 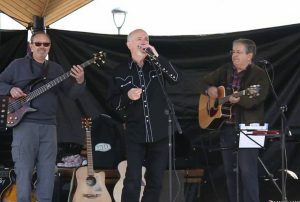 The latest mix blends delicately a fusion of Folk, Jazz, Bluegrass, Rock and Blues, which shows the musical influence of the current band members. 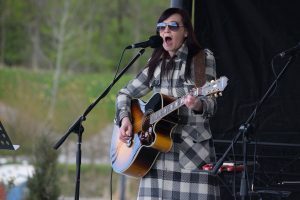 Pete Lightning Hannah – Mandolin, Guitar, Harmonica and Vocals. From his own band ‘The Chilli Dogs’ Pete brings the essential element of the Dog in the band. Firmly grounded in bluegrass and folk, he has been known to join in on Kazoo for the Jazz numbers. Steve ‘Call me Wynne’ Wynne-Jones – Guitar, Bass and Vocals. With a musical heritage from the glam rock days of the early 1970’s Wynne still wishes the band would play more T-Rex Songs and wear flares and platform boots. The surviving member of ‘Dapper Dan’, Wynne is obviously the Dapper one. 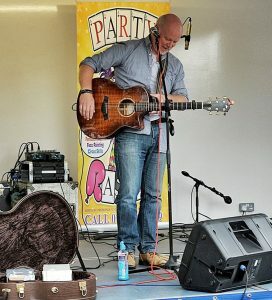 Bill ‘Django’ Smith – Bass, Guitar, backing Vocals – When not dusting off the portrait in the attic, Bill is busy playing Bass for a number of collective Big Bands and Jazz bands in the East Midlands. For relaxation, he moves to the Guitar and does a more than passable impression of Django and when pushed, Hank. Jo Smith – Vocals. From her early years in a folk duo, Jo now has added her dark dusky vocals to many a Jazz classic. Close your eyes and you could believe that either Marlene Dietrich or Crystal Gale was serenading you. 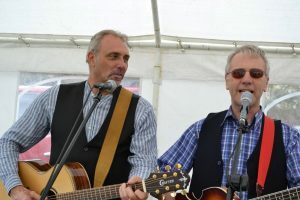 Steve Bowdery and John Roden are two members of Stoke-on-Trent based band The Rabble-Rousers. Today they will be performing, as a duo (not for the first time), a mixture of Country-style and popular tunes. 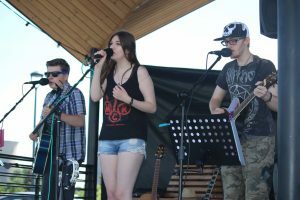 Don’t be surprised if they are joined on stage by other musicians, adding a little more colour and flavour to their set! Both seasoned performers in their own right, Tony Sheldon and Jackie Robinson have been playing together since December 2016 , their first performance together being a cover of Hazel O’Connor’s ‘Will You’. 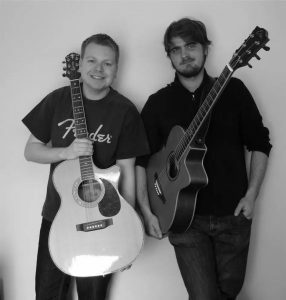 Acoustic Anarchy is a duo that is Kim Harrison (vocals and guitar) and Neil Hughes (cajon). Kim started playing the guitar in October 2014 and has really excelled in such a short period of time if playing. 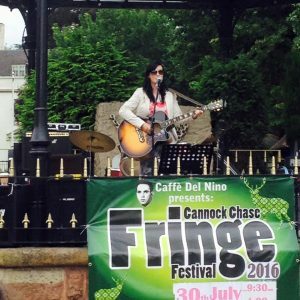 She started out on the open mic scene in July 2015 and has since had bookings all over Staffordshire and is renowned for her unique vocal sound. Neil joined Acoustic Anarchy in February this year and has added a new dynamic to the mix on the cajon. 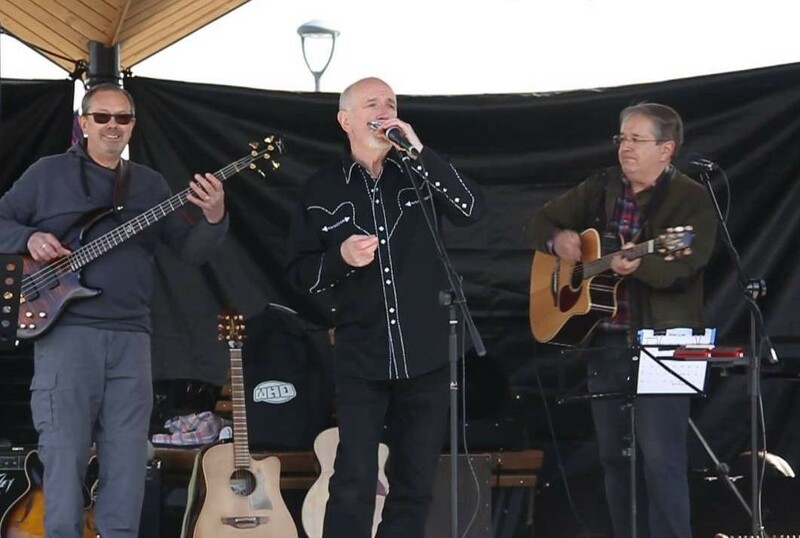 Acoustic Anarchy’s music style is varied and includes a range of old and new songs from Ben E King’s ‘Stand by me’ to ‘Cheap Thrills’ by Sia with lots in between and even a couple of ‘a Capella’ songs in there too with a mix of strumming and fingerpicking playing styles. 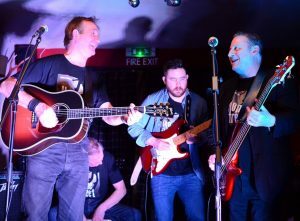 This all helps Acoustic Anarchy to appeal to a wide range of audiences and has contributed to their success to date. 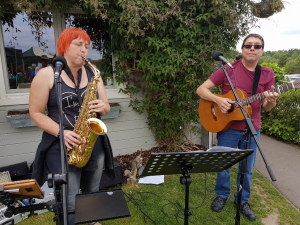 Kim and Neil have also started a new project recently on a five piece band with covers and original songs with a more Americana meets funk style so watch this space……! Temple Hudson is the musical incarnation that keeps veteran singer-songwriters Gary Hudson and Mick Temple acting like they’re still under thirty. 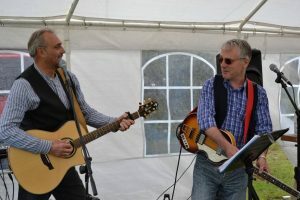 Backed by talented younger musicians, the ageing duo present a lively show of mostly original songs, including highlights from their Hope Street album. The lineup for their Dovefest debut includes acclaimed blues rock guitarist Gareth Powell and in-demand sessionist Greg ‘Toast’ Storey (Ed Sheeran, Avenged Sevenfold). 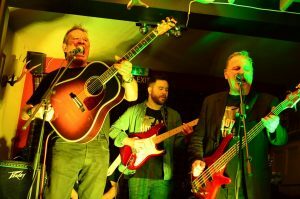 Songs range from rockabilly pastiche to a cautionary tale about power tools, with the world’s first Black Country zombie song certain to make an appearance. There’s every chance of a Lonnie Donegan cover too.